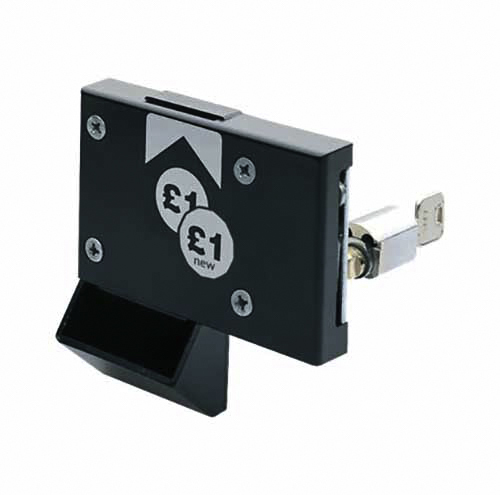 Can be provided with a coin return tray or a coin collecting box. Wet Areas(corrosive environments): Lock case of polycarbonate, cylinder of chromated brass, keys, hook bolt and the remaining unspecified components of nickel plated brass. 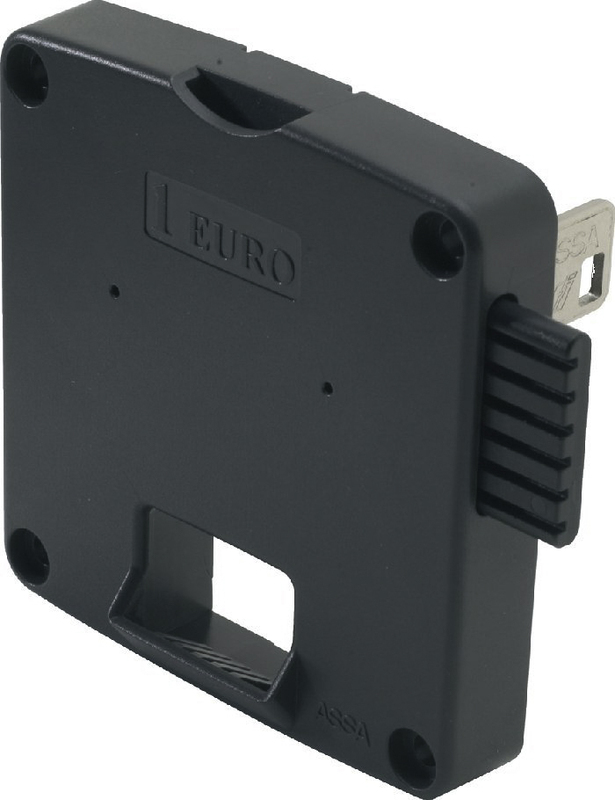 The case is provided with an integrated coin return tray. Assa E-Lite is made of polycarbonate and chromated brass to resist corrosive environments. If a round hole has been made in the door then ASSA ́s reinforcement plate is recommended, Otherwise security is endangered.